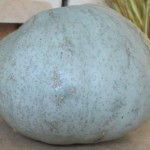 Sweet Meat squash has silver-gray skin that makes it very unusual looking squash. 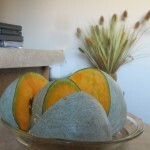 It is good up to 6 months in a cool, dry place after autumn harvest. 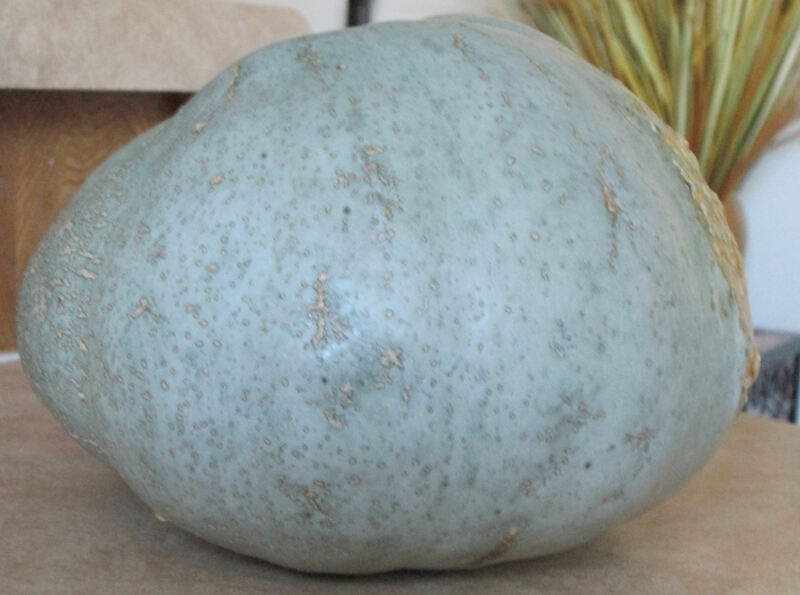 This squash is especially rich in dietary fiber, vitamin C, beta-carotene, and some minerals. 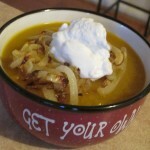 A cup of cooked squash contains only 75-80 Calories. To prepare you will need a sharp knife, a hard board and some patience. 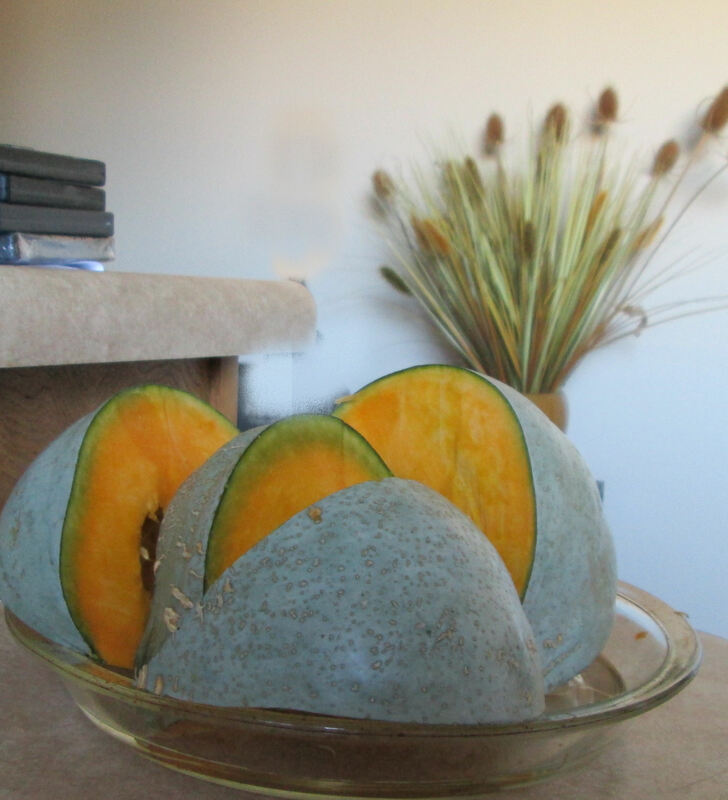 When done, remove the flesh from the rind and puree it in a food processor adding some bullion (I used vegetable) or heavy cream (remember: it is heavy in calories). Salt and pepper to your taste. Fry a sliced onion on a skillet till beautiful golden. 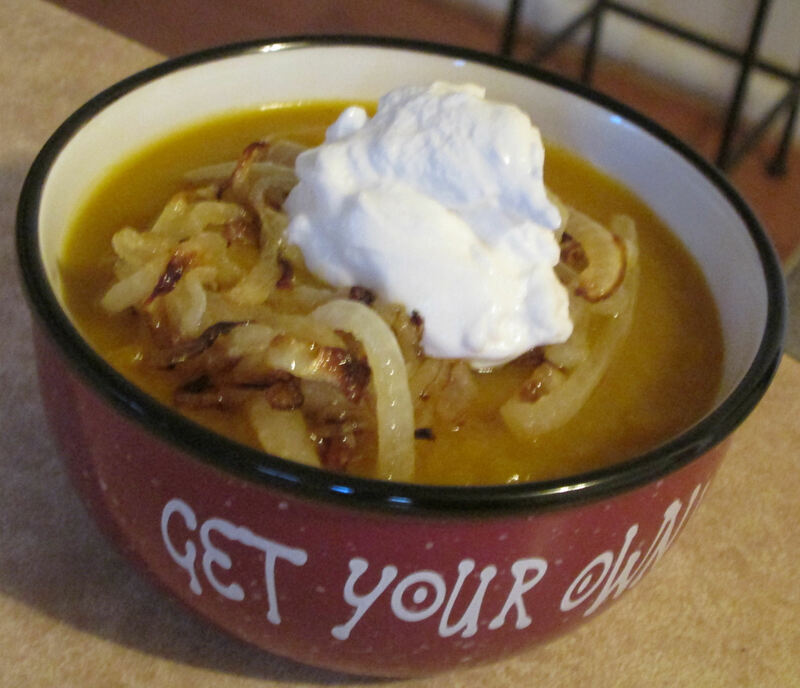 Dress your pureed soup with a little golden onion and 1tbs of light-sour cream and enjoy. Nutrition Value: for 1 serving (One cup of soup) about 180 Cal (on the bullion base), 21g Carbs, 3g proteins, 6g dietary fiber, 89mg Calcium, 601 mg potassium, 457 mg Sodium, 34mg Magnesium, 61mg Phosphorus, Vitamin A 593ug RAE, vitamin C 24mg, vitamin K 73ug, Folate 56ug DFE, Choline 27 mg.